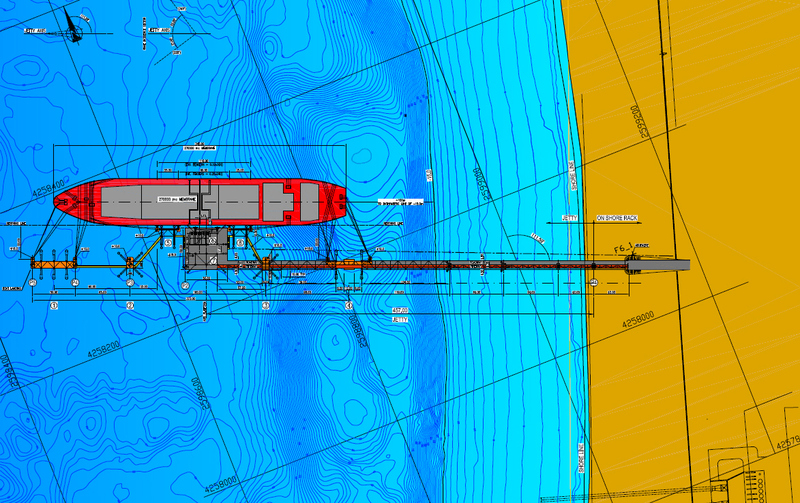 Import Marine Terminal for LNG Carriers from 70.000 to 250.000 m3. Jetty length of 600 m founded in water depths ranging from 10 m to 70 m with a steep mud-line. Jetty made up by long tubular steel trusses supported by monopiles, monopodes and jackets. Platform and dolphins made up by steel decks supported by jackets. Site characterized by difficult geotechnical conditions and high seismicity requiring huge consolidation interventions on the foundation soils of the steep slope. Cryogenic pipes of the pipe-in-pipe type supported by means of a seismic base isolation system.